These basic instructions should be followed whether you are using the Barix for streaming MOH or for playing music overhead. Unbox the Barix and connect your network to the LAN port on the back of the device. Connect your source RCA cables to the correct left/right inputs on the back of the device. Connect headphones to the jack on the front of the device. This will be used to determine the IP address of the device on power up. 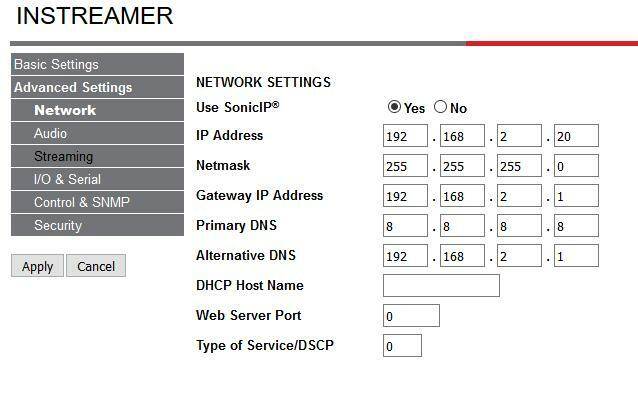 (By default the device pulls DHCP from the network. While wearing the headphones, connect the power to the back of the device. Note the IP address as this will be used to access the device. For this setup, you'll need to create a Streaming MOH Playlist. You'll need to set the URL for the playlist to the static IP address you set for the Barix. 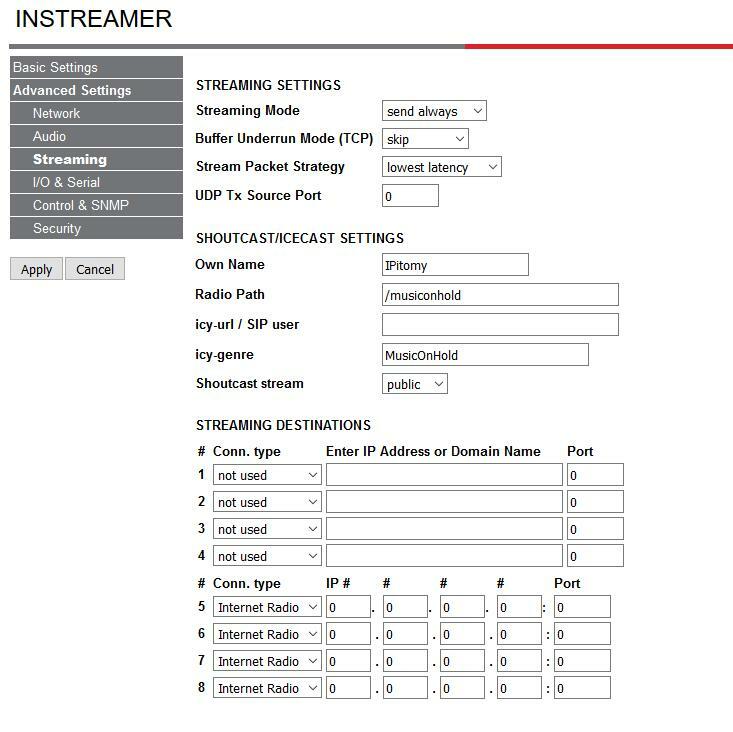 For this set up, you'll be setting the Barix as a Multicast source, and setting your IPitomy SIP Speaker to listen on that multicast address/port. 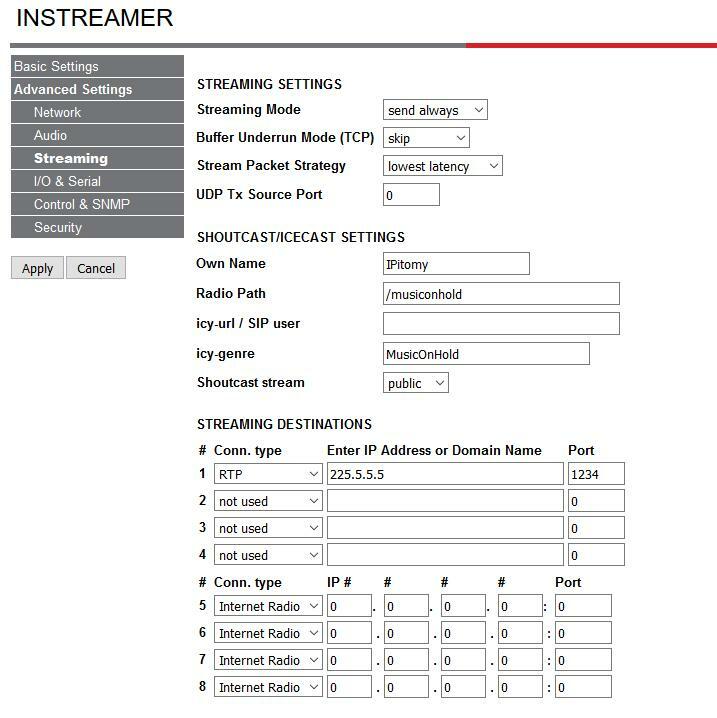 When used to stream music you can also use the same speaker for paging if you use a Multicast Page Group. Do not use a normal ring group to page, as the streaming music will not restart.